"Despite the threats of the Russian Federation, we are holding the planned exercises." President Petro Poroshenko says the launches of guided surface-to-air missiles during the Air Force drills in the south Ukraine and over the Black Sea we successful. "Despite the threat of the Russian Federation, we are holding the planned exercise test guided missiles ... No one will stop us, we will act in the interests of the Ukrainian people and already received the first reports of successful missile launch!" the president wrote in his microblog Twitter. 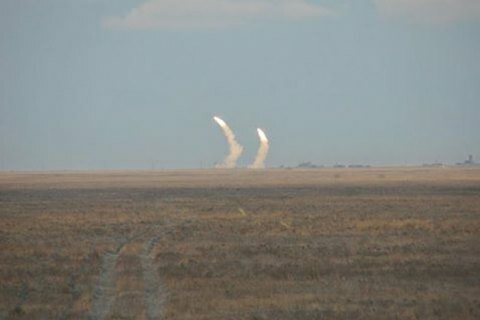 On December 1-2, in Kherson Region and over the Black Sea, Ukraine is holding military exercises involving test launches of medium-range anti-aircraft missiles. The plans stirred outrage in the Russian Federation, as the Kremlin said believes Crime its territory. Russia's Defense Ministry has threatened missile strikes in response to the launches near Crimea. Also, Russia's air transport authority has issued a notice on the establishment of exclusion zones. Later, Rosaviation reported about the alleged change of missile firing zone, stating that "the new zones are located in international waters while the territorial waters of the Russian Federation shall not be affected."